We are based in McCarthy, Alaska, surrounded by our nation's largest National Park, Wrangell-St. Elias, and just minutes from the toe of the Kennicott Glacier. Serving students, writers, artists, scientists, travelers, and local citizens, our non-profit offers opportunities for people of all ages and abilities to explore, express themselves, and be transformed through direct experience with this extraordinary place. 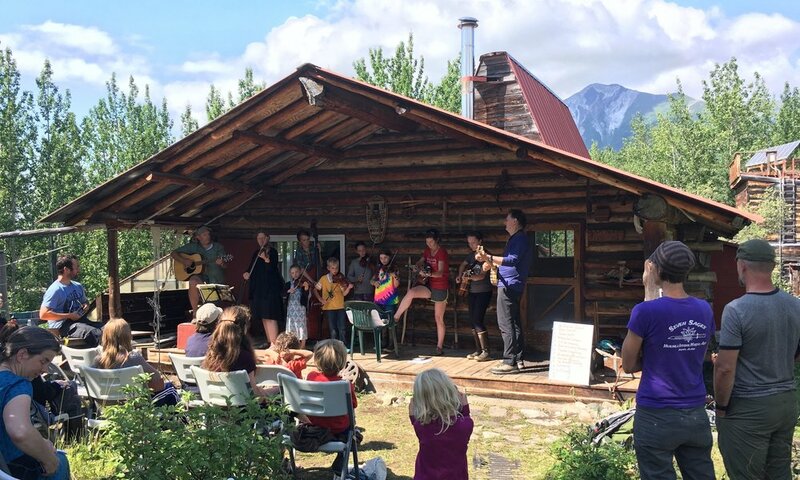 The Wrangell Mountains Center provides residential and walk-in experiential education programs that foster discovery through direct contact with diverse environments. We embrace an interdisciplinary approach composed of analytical, artistic, and scientific modes of perception. We value wilderness both for its own sake and for the powerful direct experience it offers us.